A fleet of six test vehicles, which have already undergone testing in extreme weather including in the Arctic and Death Valley, will enter into their final phase of testing ahead of going on sale. 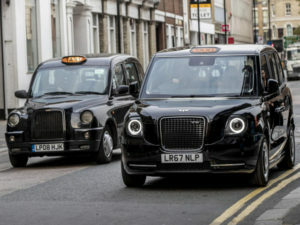 The six test fleet drivers are London cabbies who will collect information for LEVC including the emissions savings being made from the black cab’s eCity technology and how well London’s existing electric charge point infrastructure works, before delivering to customers and being made available to fare paying passengers later in the year. In January 2018, the requirement for all newly licensed taxis to have zero emission capability will come into force.For more of the latest industry news, click here.